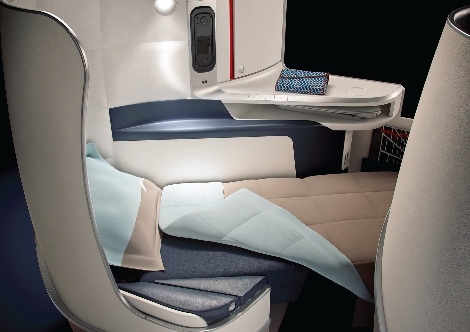 Air France is now offering its latest long-haul cabin products to five additional destinations. Passengers travelling on select B777-200 flights to Bangalore, Osaka, Boston, Buenos Aires and Montevideo will now experience the Skyteam member’s most recent cabins. The Boeing aircraft features a three-class configuration, with 40 seats in business, 24 in premium economy and 216 in economy. 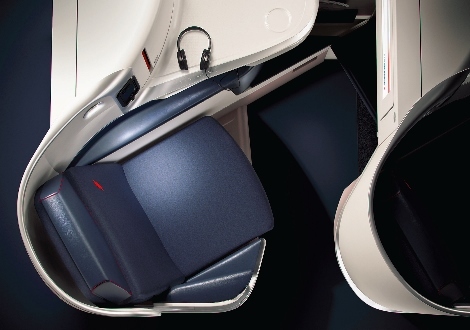 Having introduced the new seat designs last year, Air France has been installing the upgraded products on 44 B777 aircraft. In total, this will consist of close to 10,000 seats in economy, more than 1,100 in premium economy and 2,012 in business. Air France said it will have completed installing the new cabin products on to 30 aircraft by the end of the winter season in March 2016. Earlier this month, Air France announced that its long-haul capacity will decline by “around” 10 per cent in the next two years (see news, October 5).